Come as early as 11:00 if you want more relaxing and visiting time at the outdoor picnic table and make time to go through the Farm restaurant to order your lunch! We are doing a TOUR of The Farm so our presentation is a wonderful tour! Ride along assistance is available, if needed. Wear comfortable shoes. Remember to bring sunglasses and a hat if you want. We are going to do this one differently than our typical lunch and learn events. On this one you will arrive early enough to choose and buy your own lunch. We will all sit in the beautiful setting and eat our lunch and then at 12:15 we will leave for the tour. Event cost (does not include lunch) is $5.00 for members and promo co-sponsors. $15 for non-members. People can come as early as 11:00 if they wish to order and pay for their own food and sit out on picnic tables and enjoy the beautiful and peaceful scenery and visit, eat and relax prior to the tour. You could also eat after the tour if that works better for your schedule. 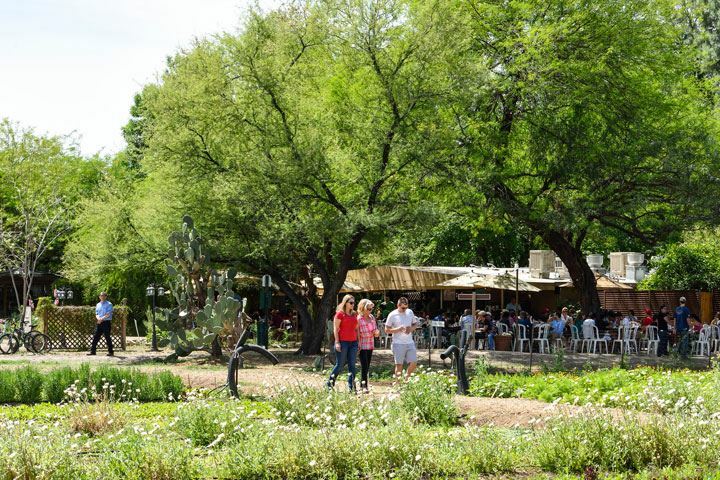 We will be enjoying a tour from Greg Brownell, Sustainability Manager of The Farm at South Mountain, a long-time resident of the South Mountain Community, including being a former Chairperson of the South Mountain Village Planning as part of the Phoenix Planning Commission. Greg is also one of the community leaders that helped write the recent Plan Phoenix General Plan. Watch a video with Greg Brownell here. Plan a respite from your busy day, see some wonderful sustainable business practices in action, learn about a special place, get a “behind the scenes” tour, enjoy beautiful and relaxing setting, meet some fun and interesting people, and go back to work rejuvenated for a productivity bounce! Download this information and more here.